Rubain J. Dorancy, Esq., MPA, founded TRIAD Consulting Strategies to provide professional development and strategic support to schools and districts to ensure compliance with public policy, regulations, and federal and state laws. Mr. Dorancy has been directly involved in the New York City Department of Education for over 15 years as an administrator and executive. He has led professional development initiatives, advocacy support, and leadership development for school administrators, counselors, district staff, and special educators to ensure that students were receiving appropriate services. 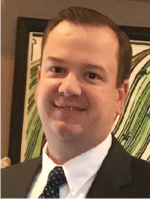 Clay Goode has served as a high school teacher, middle school principal, Chief Academic Officer, District Assessment Coordinator and Director of Secondary Education during his 22 years as an educator. Currently, he serves as the Director of Secondary Education for Scott County Schools where he oversees the largest high school in the state of Kentucky. 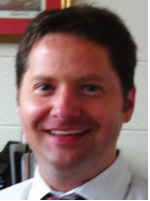 Mr. Goode’s areas of interest include college and career readiness, individualized learning, and student placement. 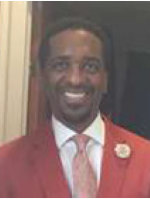 John Ferrell is the principal at New Albany High School in New Albany, MS. A native of Booneville, MS, Mr. Ferrell received his bachelor’s and master’s degrees from the University of Mississippi. His professional background at New Albany includes 14 years of experience as a classroom teacher, coach, and Assistant Principal. He also served as Director of the New Albany School of Career and Technical Education for seven years. Under his leadership, the Career and Technical school has increased national certification programs as well as test scores. Join Dr. Sandy Addis, Director of the National Dropout Prevention Center/ Network (NDPC/N), as host and Mr. Tommy Stephens, NDPC/N Project Leader, as cohost as they discuss college and career readiness and its implications for dropout prevention. Guests interviews include representatives of successful college and career readiness programs from schools in three states, including a school in a rural setting and one in an urban setting. How is career and college readiness defined? What is the value for students in being ready for college and careers? For industry? For the community? How do college and career readiness programs and initiatives positively impact the dropout rate? Following the overview, Dr. Addis and Mr. Stephens interview guests from schools in NY, MS, and KY. Each guest has an extensive background and experience in college and career readiness initiatives and each school represented is a beneficiary of Toyota Foundation funding. In addition, to complement the funding, the schools have access to dropout prevention programs, research, and best practices developed by the NDPC/N to implement and maintain their college and career readiness initiatives. Each school has adapted resources to best meet their students’ needs. Guests provide examples of and results from effective college and career readiness programs. They also discuss how both grant funding and access to NDPC/N resources have positively impacted college and career readiness in their schools.